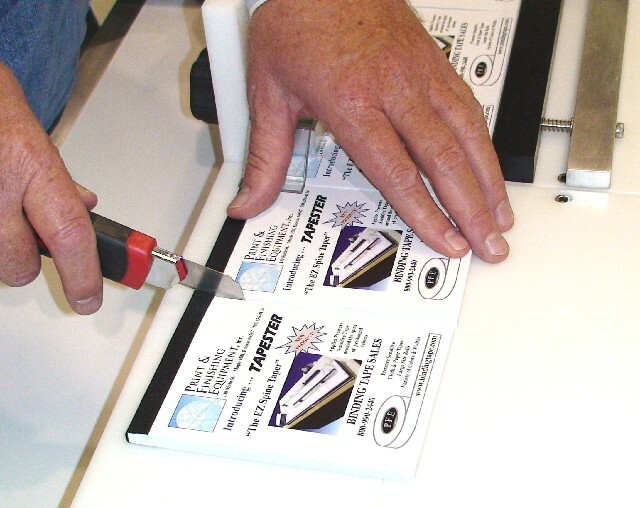 Description: The tabletop TAPESTER applies pressure sensitive tape around the spine of pre-bound tablets, notepads, etc. 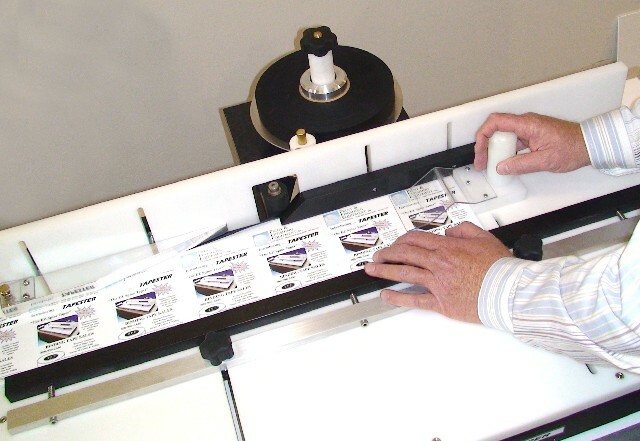 This is a NEW manually operated machine, manufactured by Print & Finishing Equipment Co., Inc. Please see the photos & spec sheet for more details on this exciting product! 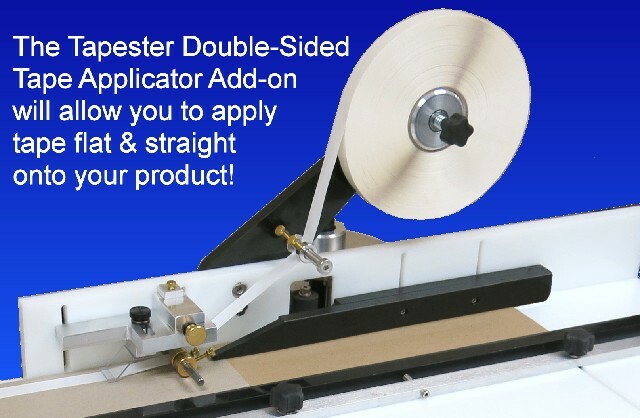 Also available for the Tapester is the Double-Sided Tape Applicator Option which allows you to apply up to 1" wide tape flat & straight along the length of your product.